An infographic from the South China Morning Post has some interesting statistics about which many modern people don’t know (or remember). 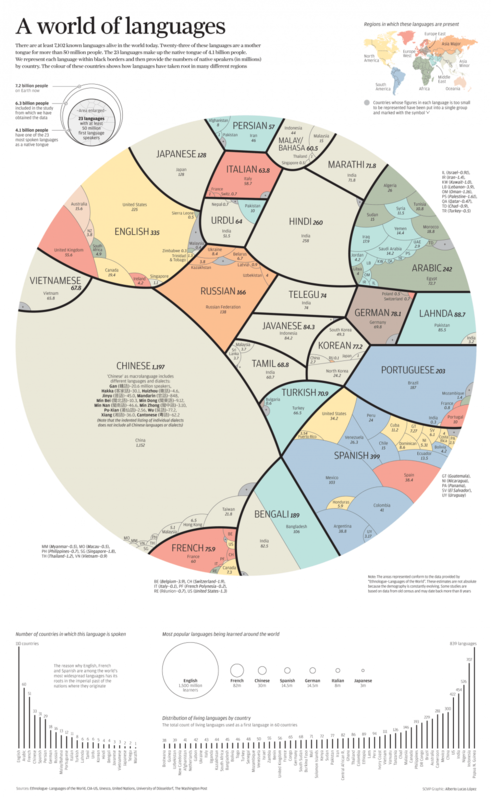 It’s very interesting to see the distribution of languages and where they’re spoken. Of particular note that most will miss, even from this infographic, is that 839 languages are spoken in Papua New Guinea (11.8% of all known languages on Earth). Given the effects of history and modernity, imagine how many languages there might have been without them. I saw this the other day. Fascinating.